Directions: Washington Sq To Brown St. The Henry Russell, Jr. House, circa 1844 is a magnificent example of Federal Architecture. 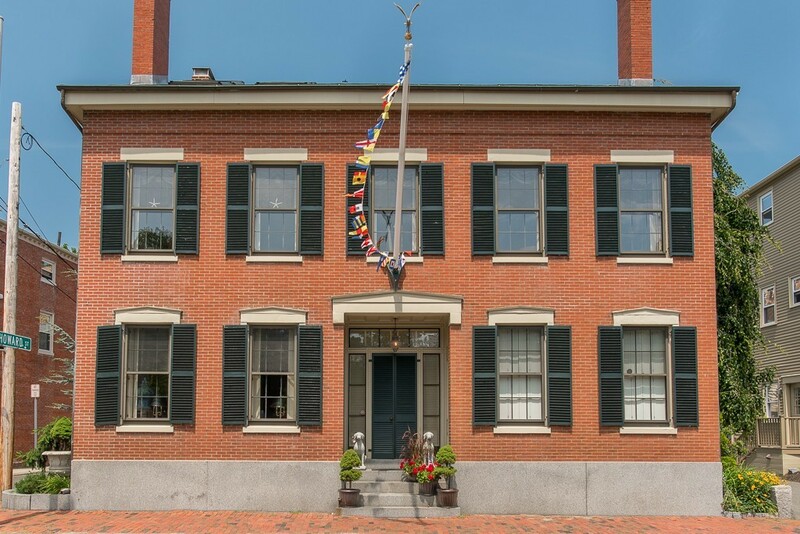 This three story, landmark brick home was built with extraordinary craftsmanship & materials & stands across the street from Salem Common. The beautifully proportioned rooms totaling 3,372 sq ft. have breathtaking architectural details such as high ceilings, fine moldings, pocket doors and eight fireplaces. Updated comforts and conveniences include a chefs kitchen with stainless steel appliances, custom cabinetry, double ovens, honed granite countertops, central air & multiple zone gas heat. Luxurious master bedroom suite with bath & custom walk-in closet & laundry. Relax in your Beacon Hill private yard & enjoy the convenience of the 2-car brick garage, a rare find in Salem. The third floor has private suite with a family room & private bath perfect for guests. Stroll to the Common, Peabody Essex Museum, movie theater, shops, cafes, numerous restaurants & the waterfront.